Our Easter Issue is Now Available to Download to your computer/cd. Every week we receive numerous requests for our magazine to be available in a print version. our EASTER issue as a download E-Magazine for a very low fee. 1. 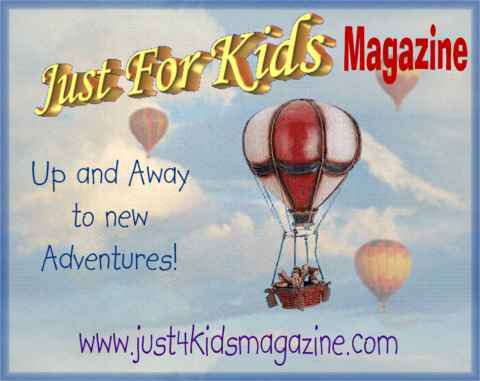 12 issues of a full year Subscription to Just 4 Kids E-Magazine. for public viewing and contain valuable resources and pictures. Teaching Children about God with Bible stories and Crafts. BEYOND THE EASTER BUNNY! This issue includes favorite Bible Easter stories of Jesus, Doubting Thomas, Mary Magdalene, Palm Sunday, Maundy Thursday, Good Friday and the first Easter morning. Easter crafts and activities include how to make Crosses from Palm Branches, make an Easter Garden, Resurrection Eggs and Jelly Bean Jars, ideas to celebrate and remember Maundy Thursday, Good Friday and Easter day. Plus there are pages of great Easter fun games and ideas to keep Easter full of party celebrations! You will be amazed at how much information is in this wonderful Christian Children's Magazine! Included in this magazine is over fifty pages of Easter Bible stories, crafts, games and activities for children. To view a sample page click here. An emagazine is a magazine in electonic form; you do not receive a printed magazine. You can download the magazine to your computer or save it on a CD. You can print out the whole magazine or only the pages you want to use. Plus you can print out as many copies as you need! You will need Adobe Acrobat Reader which is free from the Adobe Web site. Ordering “Beyond the Easter Bunny” in emagazine form is much cheaper because you do not pay for the printing, shipping, and handling costs. "Adventures With God ~ A Journey Into Glory". THANK YOU FOR HELPING US CONTINUE THIS MINISTRY. Are you interested in http://www.test-king.com/exams/70-685.htm? braindumps - pmp exam prep - certification.